People from all over, gather at Charleston, South Carolina to witness total eclipse. Charleston, United States: On Monday, when a total solar eclipse sweeps across the United States for the first time in 99 years, people gathering in Charleston, South Carolina, will be the last on the continent to experience it. The "Great American Eclipse," as it is being called, will move diagonally across the country, northwest to southeast, providing a spectacular solar show -- again, weather permitting -- and an excellent excuse for scores of eclipse-viewing parties and music festivals. 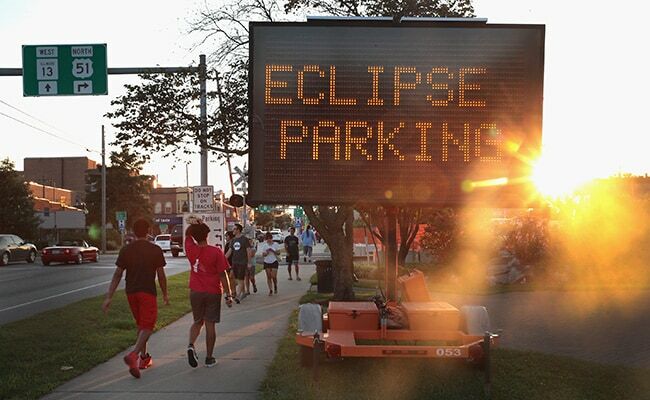 bad weather should bring disappointment to would-be eclipse viewers?